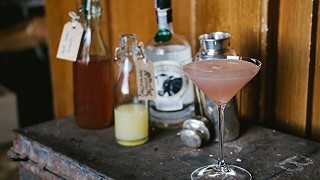 This is the cocktail we serve during the spring and summer at Ballyvolane House as the rhubarb is in season and we grow it in our walled-garden. A couple of Rhubarb Martinis before dinner promises lively conversation throughout dinner. They are absolutely delicious and very easy to make.